Researchers at Tel Aviv University are using the digital traces we leave whenever we use computers or mobile devices to catch criminals. Like digital files, people are always on the move, Prof. Ben-Gal [of Department of Industrial Engineering in Tel Aviv University's Ibi and Aladar Fleischman Faculty of Engineering] says. It's not enough to process the information you have and assume the output will remain relevant. "If the object is moving, modelling and eventually catching it is mathematically complex," he says. Prof. Ben-Gal and his fellow researchers work with leading companies in homeland security on how to establish patterns of terrorist or criminal activity using mostly communication files. New pieces of information are automatically plugged in to existing data, and the algorithm's analysis of the criminal's movement or pattern is reformatted. The algorithm works like a computerized sleuth, taking pieces of information such as phone calls, emails, or credit card interactions and reducing them to a set of random variables for further analysis. All of these communications are actually pieces of one long message waiting to be decoded, explains Prof. Ben-Gal. In a single telephone call, for example, there are several variables to consider — the recipient of the call, its length, the location of the caller himself. Once all this is known, the algorithm not only assesses patterns of crime to predict future movements, but also creates a probability map displaying the possible locations of the person or group of interest. Like a topographical map, the probability map is divided into zones where the subject ... is likely operating. Each zone is assigned a statistical level of probability that the subject is there. 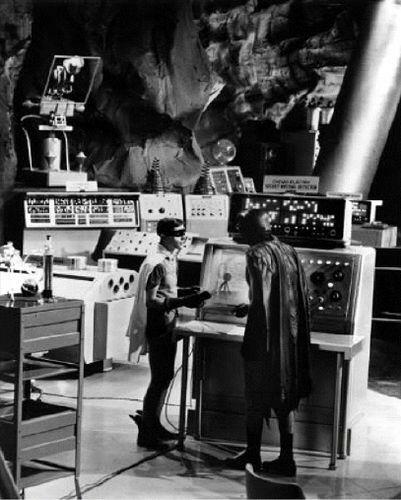 Fans of classic Batman television episodes from the 1960's will of course recall the Batcomputer, the most incredible crime-fighting tool of its time. This device could, among many other things, tell the Dynamic Duo what was happening, crimewise, at any given moment. Via Tracking Crime in Real Time.